Here at Turners Blinds, we love a challenge. And that’s exactly what we were presented with when Mr Collinson gave us a call. He had recently moved into his new home in Ipswich, Suffolk. His home came pre-installed with something called the Control 4 home automation system. Essentially, it’s a system, connected to the home’s Wi-Fi, that enables you to control pretty much anything that turns on and off in your home via a single remote or Smartphone app. Very clever indeed. 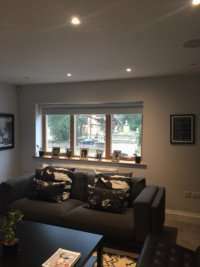 Mr Collinson got in touch and asked us to install eleven blackout roller blinds in his home that integrated with the Control 4 system so he could operate them via his app, and via the smart switches throughout his home. The roller blinds were no problem at all for us, we’ve done hundreds. We’ve done our fair share of motorised blinds too. But the technological integration bit, that was new to us. 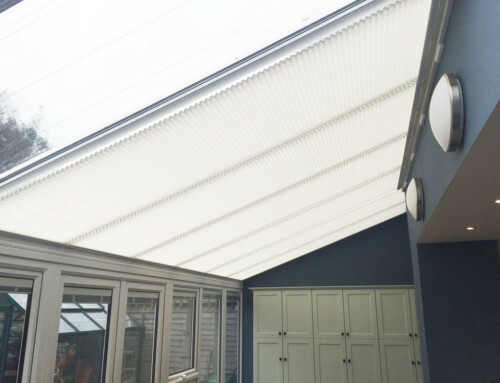 We brought in one of our suppliers, market-leader in motorisation of window blinds – Somfy. They offer a superb support service and came along with us to assess the situation. The first problem we needed to overcome was getting enough power to the motors. 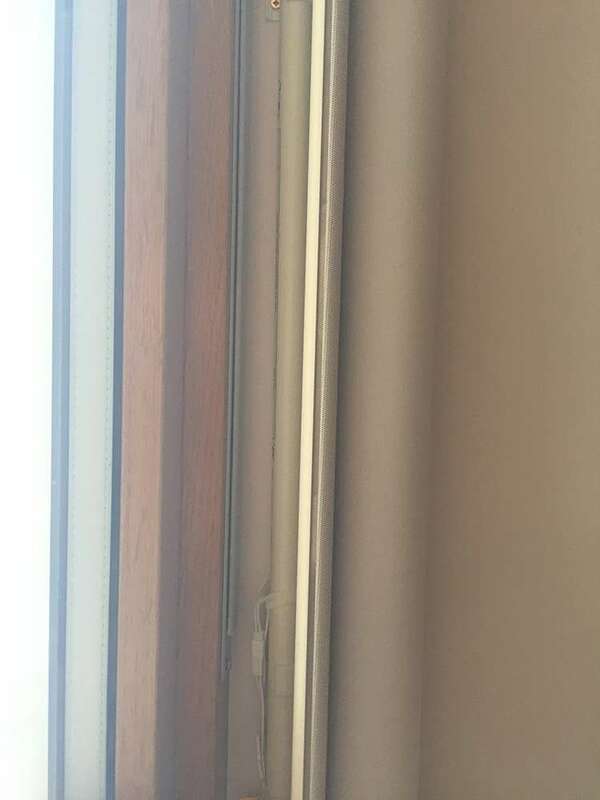 The house builder had pre-installed a data cable to each of the windows in readiness for the blinds. 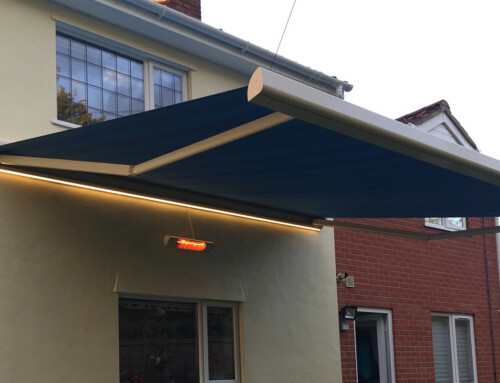 However, the data cable wasn’t sufficient to carry the power for the blinds as well as the signal for the commands, so we needed another solution. Our answer: good old battery power. 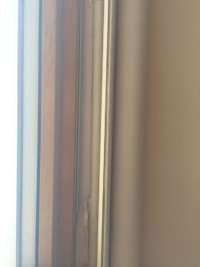 We installed a thin battery tube behind each of the blinds, completely out of sight, which contains rechargeable batteries. The next step was to figure out how to send a signal to the motors in each of the blinds, via Control 4. 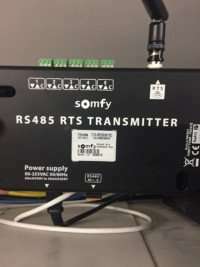 Somfy has a clever piece of kit called the RS485. Not the most memorable of names, but a very handy device none-the-less. This is a transmitter that can talk directly to the Control 4 hardware. We carried out some testing to make sure the RS485 was able to transmit to all corners of the house. It’s a big house. It all worked perfectly. 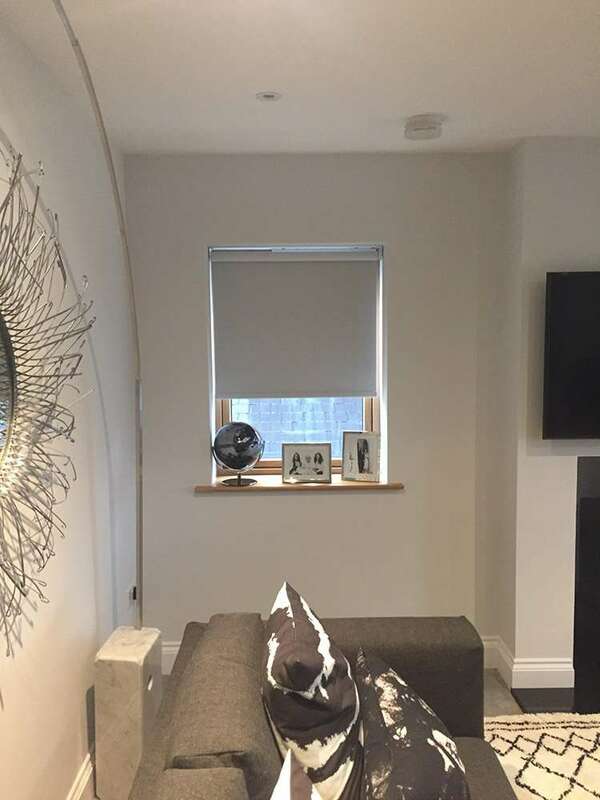 We manufactured the roller blinds, pairing each motor to the necessary channels on the RS485, all in our workshop. 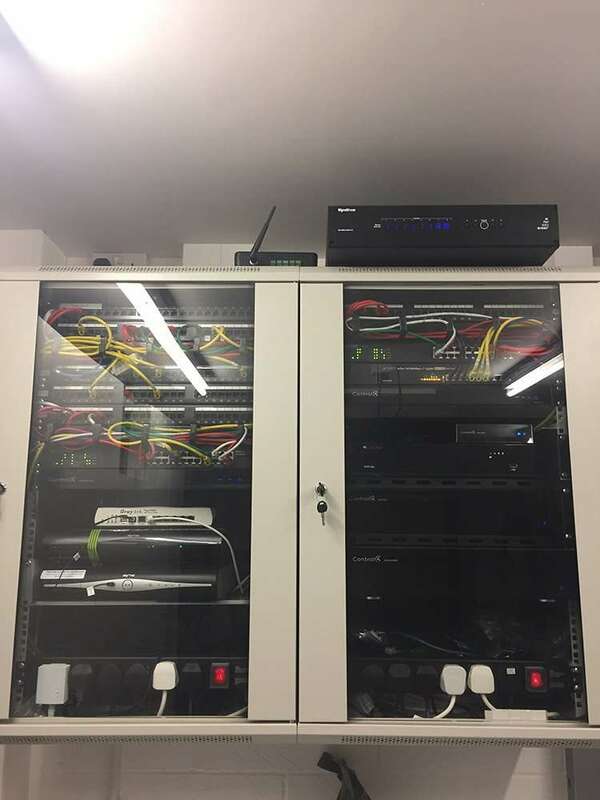 We then installed them in Mr Collinson’s home before completing the final piece of the puzzle. We called in electrician Mark Robinson who was familiar with the workings of Control 4 to sync the channel our blinds were on with the Control 4 channels. And it worked a treat! 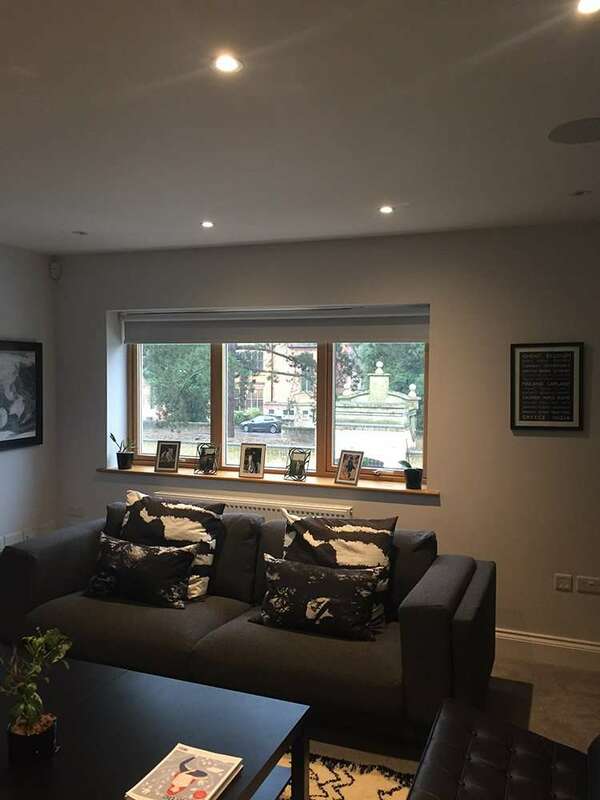 Mr Collinson can control the blinds throughout his house with the touch of a button or tap on his app. We loved working on this project. Not only did we have a very happy customer at the end of it all, but we took a bit of a leap into the unknown and it paid off. It just goes to show that, with a bit of teamwork and creative thinking, we can handle just about any blinds-related job thrown at us! We pride ourselves on offering a friendly, professional service to help you find the right blinds, shutters or awning for your home. No matter the size or shape of your space, from the traditional to the contemporary, we have something to suit every taste. *All of our phone calls are recorded for training and monitoring purposes.